CCGGA along with the Nisei Farmers League, California Citrus Mutual, California Grape and Tree Fruit League, Kings River Conservation District, and the Western Agricultural Processors Association recently hosted State Water Resources Control Board Chair Felicia Marcus for a visit and tour of our member’s operations. In a pre-tour meeting, the groups stressed the importance of incentive funding to help growers comply and advance water quality goals. Continuing fee increases on processing facilities and irrigated lands program acreage fees was also a focus during the meeting. 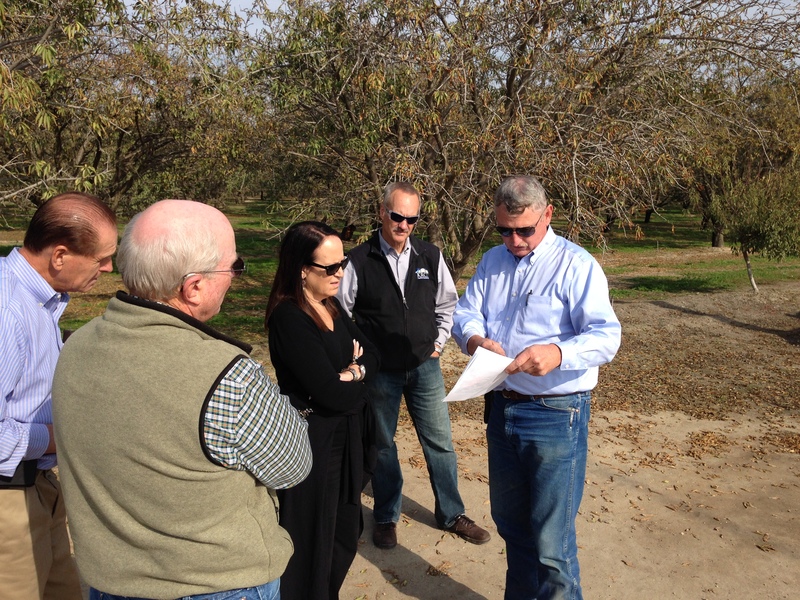 During the tour we visited with two small farm operations, Grower Director Mark McKean’s farm, and a tree fruit and vine grower. The tour highlighted the diversity in agricultural and the importance of using a variety of farming approaches that fit the needs of specific growers in specific regions and on specific soils. Ms. Marcus was appointed Chair of the SWRCB following former Chair and rice grower Charlie Hoppin’s retirement. She is no stranger to the issues faced by agriculture having previously served as the Regional Administrator of EPA Region 9 headquartered in San Francisco during implementation of the Pesticide VOC program.